I am dead tired and guess what, I am sick? It’s not a good time to fall sick especially when the festival is around! 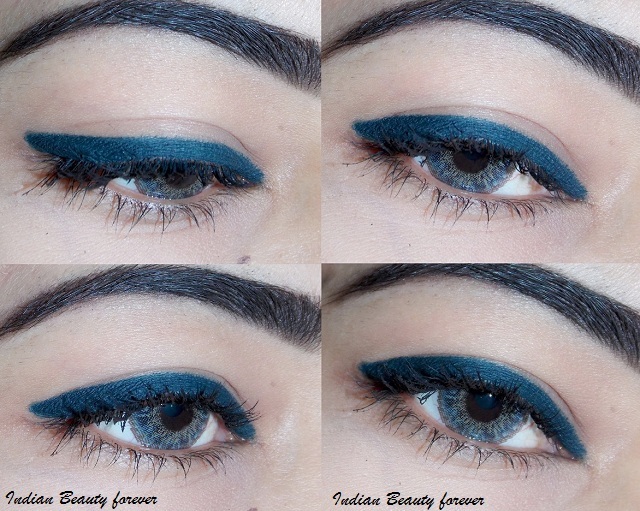 Anyways, I will share 6 blue and green family eyeliners that you would like to sport with your Indian traditional wear. 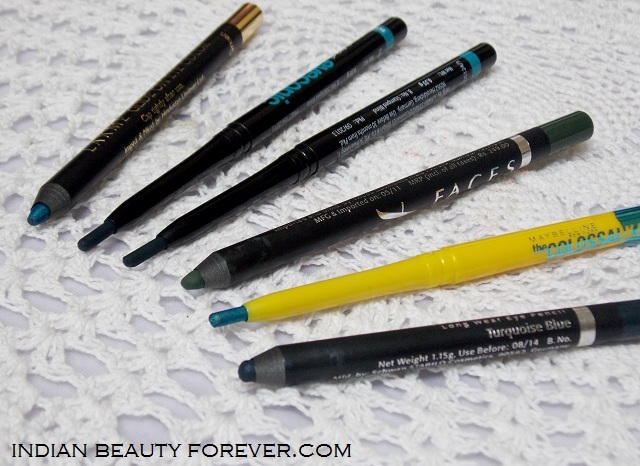 These eyeliners include teals, bright blue, matte green, shimmery turquoise eyeliner colors etc hence there's one for everyone. 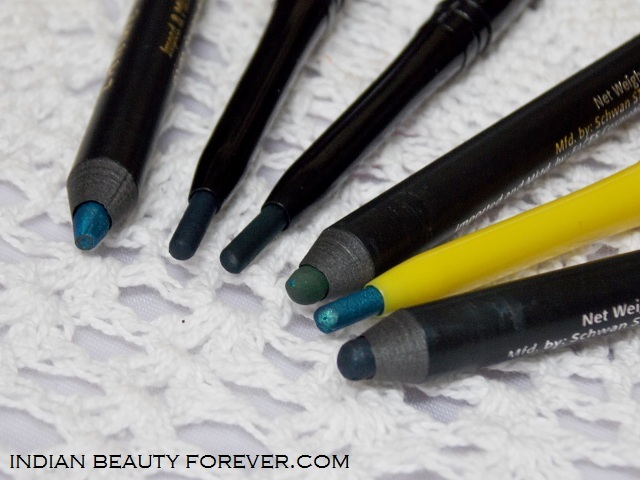 It is my all time favourite eye pencil with just a perfect balance between the blue and peacock green. It is for all eye colors and the price is very reasonable. 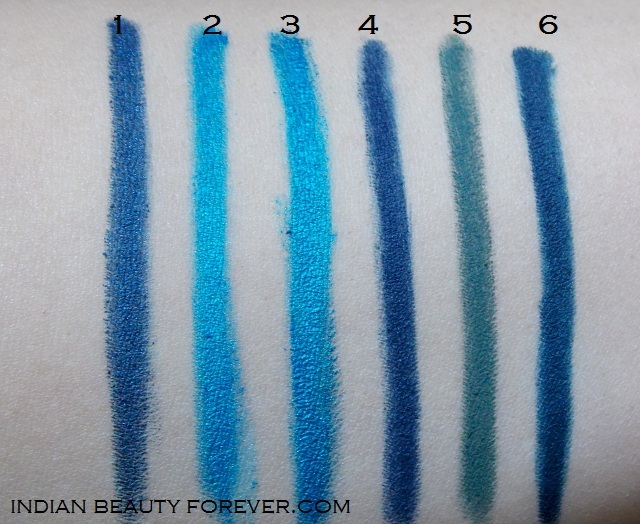 Apart from the color it is its staying time that makes it stand out amongst all the eye liner pencils. It’s a beautiful bright teal color that is appropriate when you wish to add some extra attention towards your peepers. 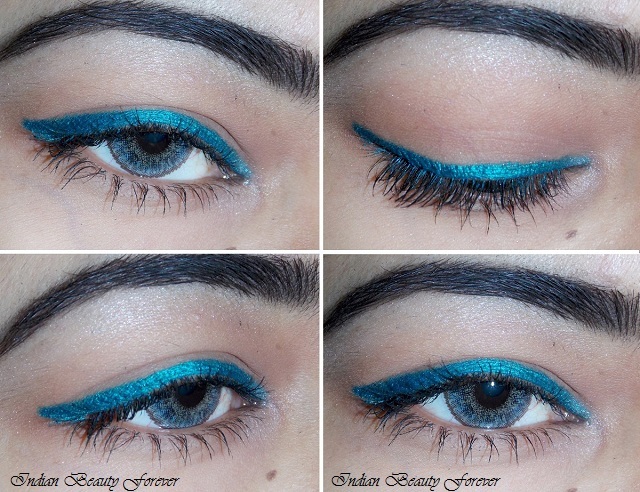 It is bright blue due to which even if you avoid too much of eye shadow, it will take care of your eye look. 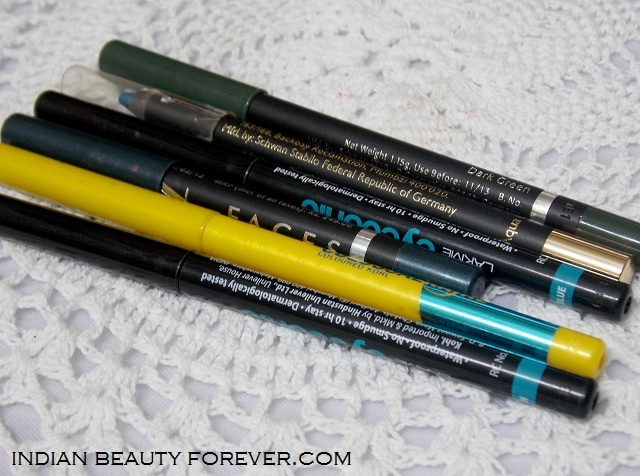 Lakme Eyeconic kajals are absolutely the best at the price especially when you’re a matte kajal or eyeliner lover. It’s multipurpose and dual action will make them last all day long. I myself have worn them for 8 plus hours and it was still in its full intensity which is commendable. Use them like kajals or eyeliners, they will fare excellently! This is a dark green with some blue tones and a smooth matte texture that will suit all the skin tones and can easily replace your usual blacks and browns. It is an exact shade as that of the Lakme eye pencil. It fares a bit better than the Lakme glide on eye pencils and smooth texture that glides without tugging or pulling the delicate eye skin. Another green from faces Cosmetics which is a more like a hunter green therefore has lesser chances to show on the darker skin tones though on medium to fair skin, it will just look brilliant. Now, you decide which is the color that catches your attention and would gather attention towards your pretty eyes. I am all for dark blues this time. What about you? So, that was all folks!